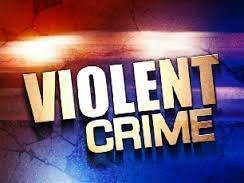 On Saturday, April 7, 2018, at 06:57 AM, Santa Ana Police officers responded to El Salvador Park to a report of a man down and bleeding from the head. Orange County Fire Authority paramedics treated the victim at the scene and declared him deceased at 07:08 AM. Santa Ana homicide detectives are currently investigating the case. The motive for the assault is still under investigation. The decedent’s name is not being released pending notification of next of kin by the Orange County Coroner’s Office. Detectives are seeking the public’s assistance. Anyone with information related to this case is asked to call the Santa Ana Police Department Homicide Section at (714) 245-8390.